A patented mixture of three beneficial bacteria (Kibow Biotics®) - Enterococcus thermophilus (KB19), Lactobacilus acidophilus (KB27), and Bifidobacterium longum (KB31) - combined with a prebiotic and psyllium husk. 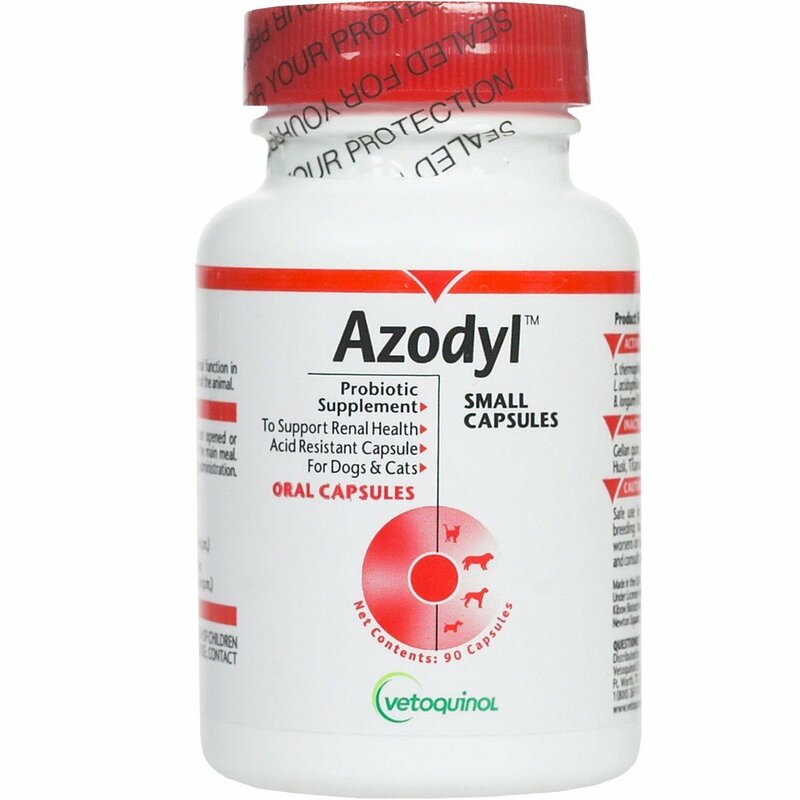 Metabolizes and flushes out uremic toxins that have diffused into the bowel, and thus reduces the toxin buildup in blood due to azotemia in dogs and cats. Slow down uremic toxin buildup in the blood and helps prevent further kidney damage, thus minimize the clinical and biochemical consequences of reduced renal function. Support kidney function by providing natural Enteric Dialysis®. Safe to use with other conventional renal failure treatments. Allow free access to fresh drinking water. Enteric coated capsules. DO NOT open or crush during administration. Administration can be for the life of the animal. Refrigerate between 2°C~8°C for best result since it contains live cells. 避免動物缺糧，請預至少7天前訂購。主要成份:STREPTOCOCCUS FAECALIS ENTEROBACTER AEROGENES YEAST 使用份量:每餐1小匙，與食物混合餵食。效能:抑制腸內有害菌(E.COLI)生長、可抑制細菌性下痢。建立腸道有益菌叢的生長繁殖，促進腸胃吸收能力。分泌消化酵素，幫助食物消化吸收。提供熱能、增強抵抗力，預防幼犬雛乳換飼所引起之不適。合成前列腺素荷爾豪，促使肌肉生長，強化骨骼。特有之 Enterobacter Aerogenes菌，可去除犬貓糞便之氨氣(NH3)，除去臭昧，改善居住環境。 AnimalHospital.com.hk is not responsible for typographical errors. We strive to keep the most current information on our we..